If you’re bugging by a popped-up box saying “The program can’t start because MSVCP100.dll is missing from your computer“, you’re not alone. Many Windows users share your feelings and experience. But no worries, it’s possible to fix. This article gives you 3 solutions to try. What is MSVCP100.dll missing error? c) when a new Windows is being installed. Here are 3 fixes you can try to fix this problem. You don’t need to try them all, just work your way down until you find the one works for you. 1) On your keyboard, press the Windows logo key, then select Control Panel. 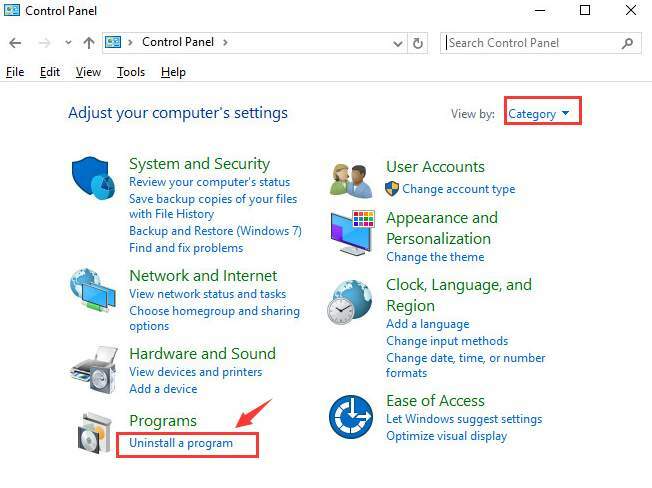 View by Category, and then click Uninstall a program. 2) Check to see what version of Microsoft Visual C++ Redistributable program that you have installed. We’re having version 2005 and 2012. Select one from the list and click Uninstall. 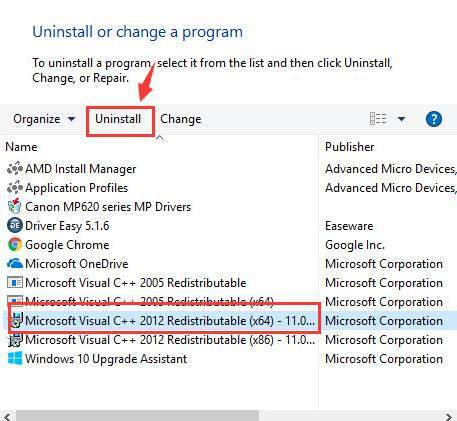 3) Repeat the uninstall process with the other Microsoft Visual C++ Redistributable programs that you are seeing here. 4) In most cases, this problem can be solved by installing Visual C++ redistributable 2015 Redistribution Update 3 downloaded from Microsoft. It’s the latest version of this update so far. Please make sure that you only download this file from Microsoft and not some random websites. 5) When the download finishes, double-click the installation file to install it on your computer. 6) When the install finishes, reboot your computer for the change to take effect. If the problem persists, please follow the next option below. 1) Find another computer that runs the same operating system as yours. 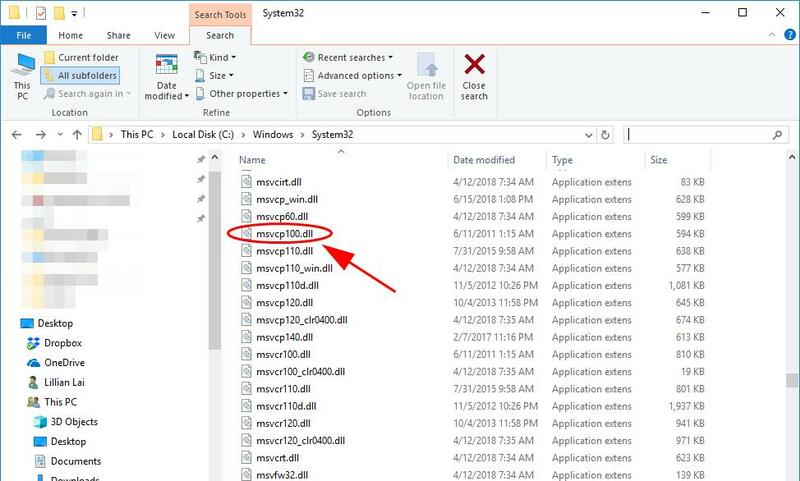 2) On that computer, open File Explorer (by pressing the Windows logo key and E on your keyboard), then go to C:\Windows\System32 and copy the msvcp100.dll there. Viruses or malware infection could also stop the .dll file from running. To rule out this possibility, run a full system check with your anti-virus program. Windows Defender alone might not be able to help you with it. You could try other anti-virus programs. 1) Reinstall the program that shows you this notification. Sometimes, just simply reinstall the program fixes the problem right away. 2) You can also try to perform a startup repair with your system. 3) Or if none of the methods work, you might need to consider getting your Windows 10 reinstalled. 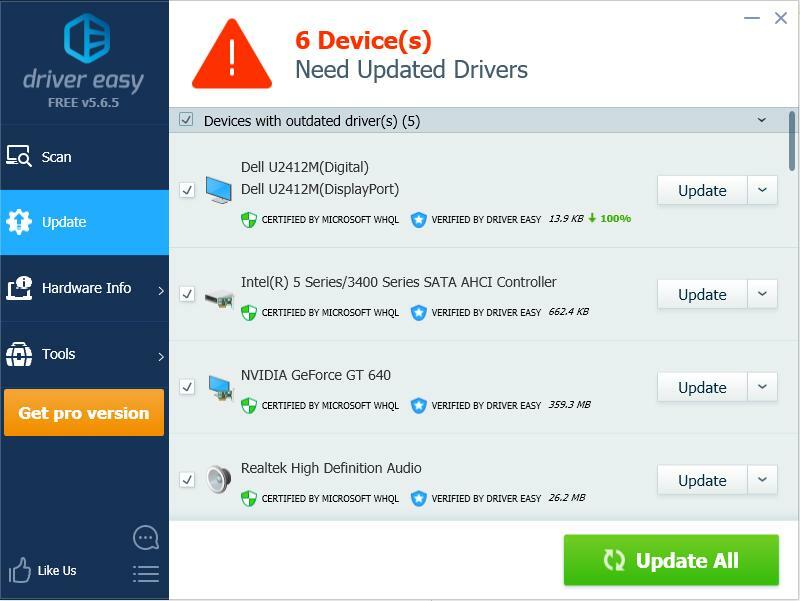 Updating device drivers should always be the prior option when something goes wrong with your computer. You can choose to manually update device drivers via Windows Update, or from the trusted manufacturer website. This takes time and computer skills, and you need to ensure that the downloaded device driver should be compatible with your operating system all the time. 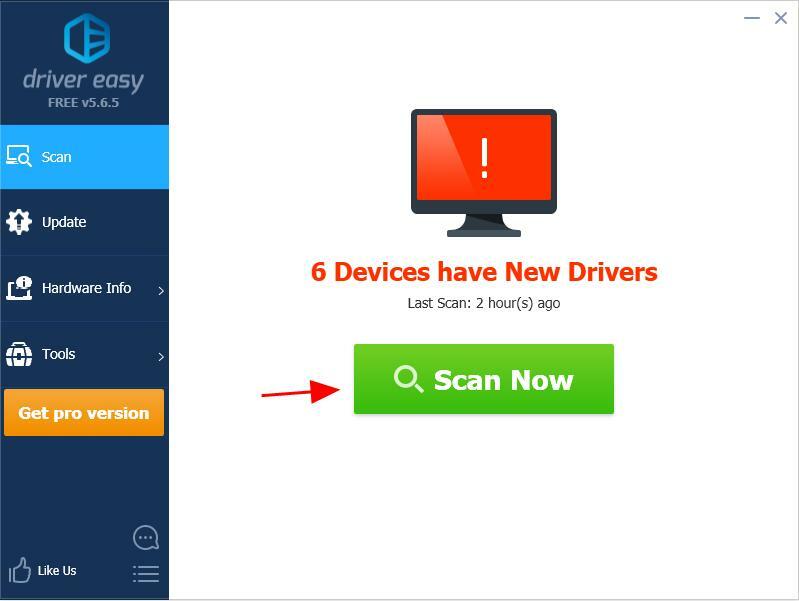 If you’re not familiar with playing around with device drivers, you can do it automatically with Driver Easy.